uk is way behind on the glee calendar. we've only just started season 2 this year, but monday nights will never be the same again. yesterday saw the screening of episode 4: "sing! ", or simply the duets episode. 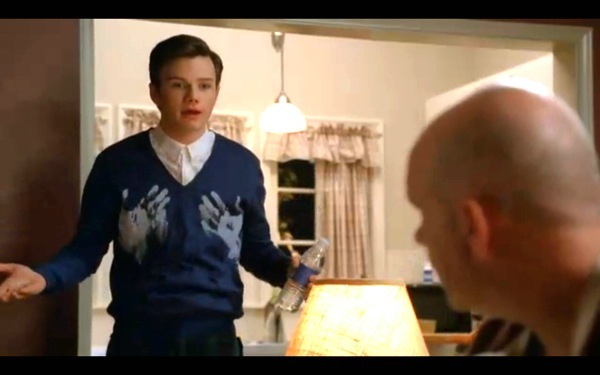 kurt wore a few interesting outfits, including the above sweater with the hand painted palms. is that from alexander mcqueen spring summer 2010? if so, man they wear nice things in mckinley high. love that buttoned up white shirt, makes all the difference. effort. and erm, doesn't the model above resemble kurt's dad in glee?? 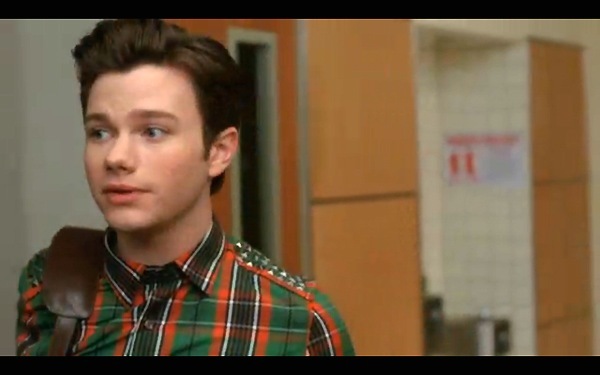 in the opening scenes, kurt wore a green/orange tartan shirt with studded shoulder detailings. i really couldn't remember if i saw that in h&m, does look a little gi-ven-chic doesn't it? Omg you should have seen season 1. 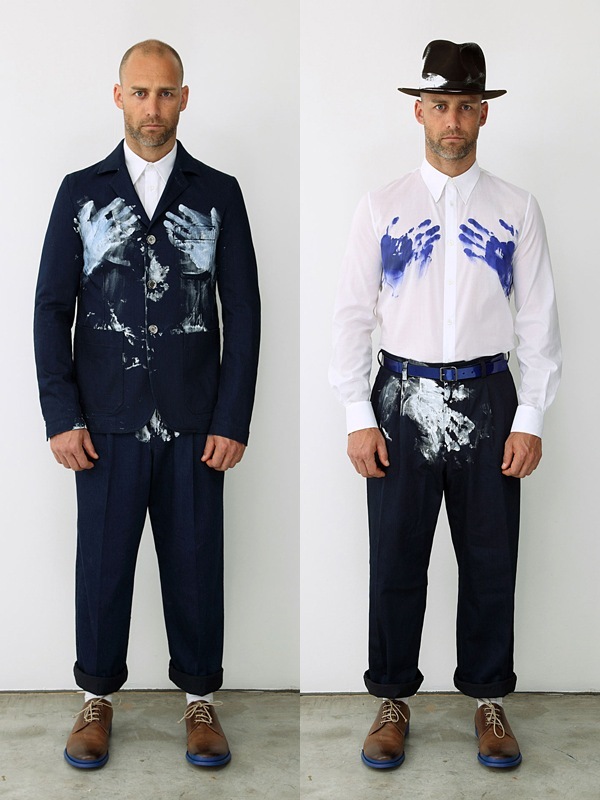 I have lost count how many designers he has worn. Marc by Marc Jacobs, Ann Demeulmeester and Marc Jacobs Collection just to name a few. There was a huge McQueen scarf in Navy/White thrown in somewhere in Season 1 as well. 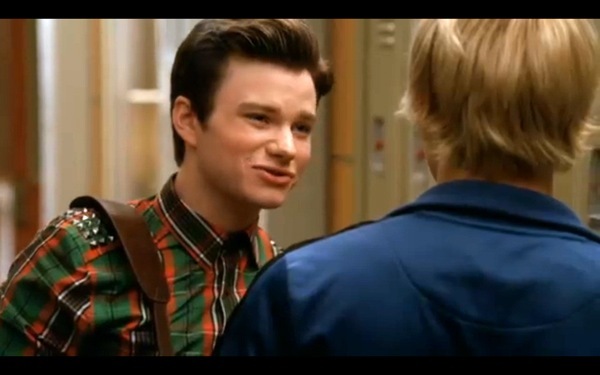 i'm no glee fan.. i just see some parts when my friends watch it and i always enjoy seeing kurt's clothes. maybe i should start following glee for them. question: from which magazine is that shoot ?! you're gonna love "sing". it was one of my favorite episodes this year. i should warn you that you'll probably cry more than once watching it. wait. my bad. that was "grilled cheesus" that i bawled my eyes out. duets was okay. You do know that "model above" is Mcqueen himself, right? SGS: that is NOT mcqueen! O.o how could you think that this is mcqueen ? !